This is to inform you that my husband, Edgar Buck, passed away in June... He was very proud to have served on the USS Cabildo. We have a very nice picture of the ship on our wall along with his Navy photo. Edgar H. Buck, 78, of Babbitt, died peacefully on June 10, 2011 at home surrounded by family and friends. Ed was born on June 6, 1933 in Grand Rapids, Minnesota to Herman and Alyce (Gould) Buck. On June 12, 1985, Ed married Barbara (Yadlosky) Lenka in Ely. During high school and college he was very active in football and track, earning his way through college on football scholarships. Ed served our country in the U.S. Navy during the Korean Conflict. He then went on to graduate from the Univ. of Wisc.-Superior with a Masters Degree in Education, then attained a Specialist Degree in Education in 1975. He came to Babbitt in 1966 to begin his teaching career. 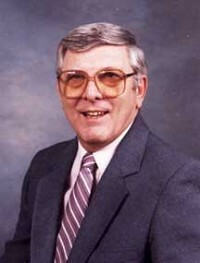 He taught various classes and later became High School Principal from 1978-1993. Ed devoted many years in volunteering his services to both youths and the community. His most recent and cherished groups he volunteered in were 14 years in the Northeast Service Cooperative and many years in the Babbitt Lions Club. Throughout his life, Ed also enjoyed outdoor activities, especially hunting and fishing with his good friends and children.